The Advanced tab contains options to modify the CopyStorm run-time, including the list of Salesforce Objects/Tables to copy. Most of the time only “Select Tables to Copy” or “Select Tables to Exclude” need to be changed. The default view of the Advanced tab contains commonly modified settings. 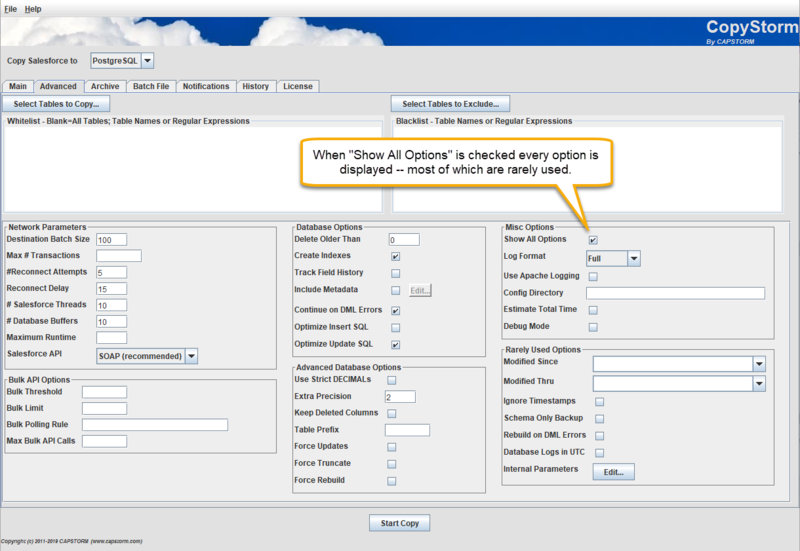 The only options typically changed by a user are in the Database Options section.